Sundang Island is a small, private island for rent in a lake on the Sierra Madre mountains just over three hours south of Manila–ideal for small families or groups of friends who want to bond with each other by bonding with nature! We were lucky to have found this place and we’d like to share it with others. It is a small and secluded island in a quiet lake in the Sierra Madre mountains, with a simple but comfortable bungalow on top of a grass-covered knoll that gently slopes down to the water. 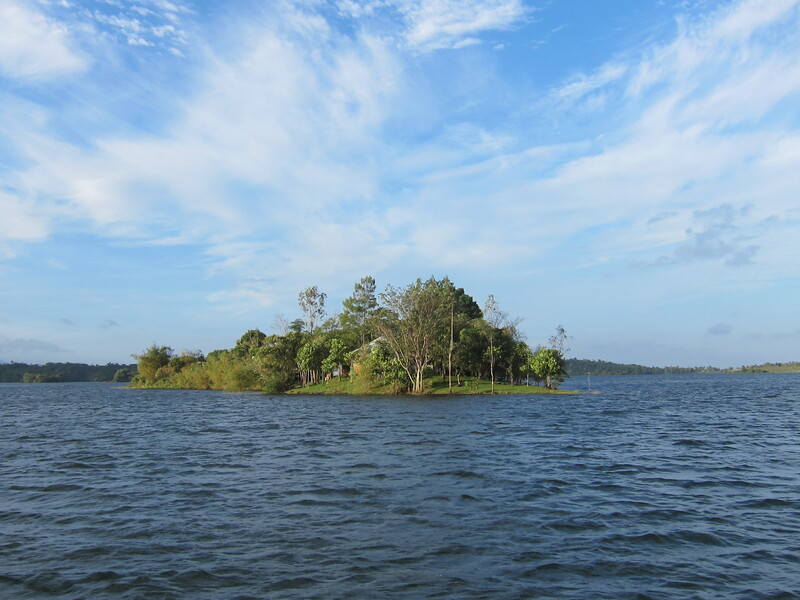 From the road, you can only reach our island by a ten-minute boat ride. When you get there, it becomes difficult to believe that you’re only three hours away from the big city. It is an ideal destination for couples, families, or small groups of friends seeking to escape from the frenzied pace of the metropolis (or for that matter, of Tagaytay, Laiya, or Subic). With the isolation and quiet, clean mountain air, and the comfort of a rustic lake house all only a short distance from Manila, our island is a perfect venue for quick weekend getaways, family picnics, barkada outings, organizational meetings, or even a small garden wedding. It is also ideal for long-term stays for those who want to finish writing a play, thesis, or novel. Check out the various pages on this website and if you still have questions or want to book a stay, contact us through the form below or email us at sundangisland@gmail.com and we’ll try to get back to you within 24 hours. You can also call us at +63-998-987-1840 or +63-2-433-1751. Like our Facebook page for more pictures and for updates.